March 2014 – A Ball of Joy! 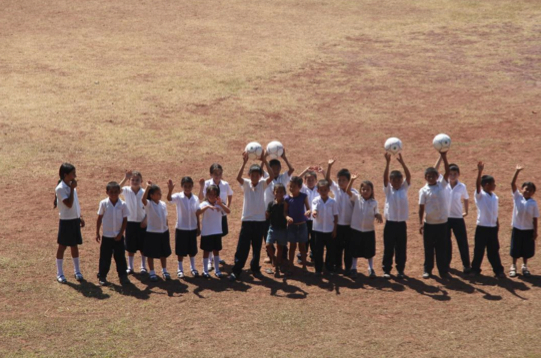 Bringing Smiles and Fun to Children in El Salvador. Thank you James and VOLO Athletics for your gift of soccer balls. This special gift is bringing so much joy to children in El Salvador. 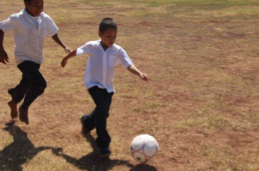 A huge soccer field located in the middle of a rural community in El Salvador has now become a hub for laughter and playtime for many children. 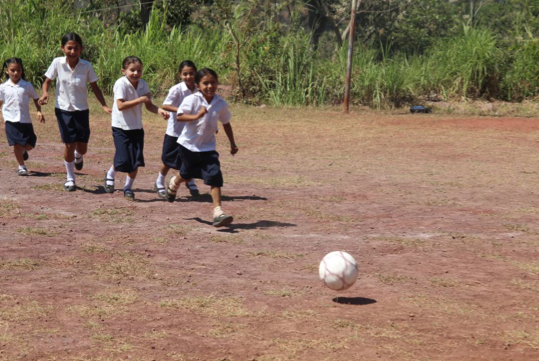 Boys and girls squeal with delight as they run after their new soccer balls, generously donated by VOLO Athletics. Recreational activity like soccer builds good sportsmanship, team building skills and promotes physical exercise. Play is important to a child’s development but unfortunately playtime can be difficult for children in developing countries as many do not have access to sports equipment or household duties such as caring for their younger siblings, or fetching fire wood and water can be time consuming.